Jesse and I spent this weekend in Park City, Utah. I had never visited Utah before, and Jesse had only been there during wintertime to ski. 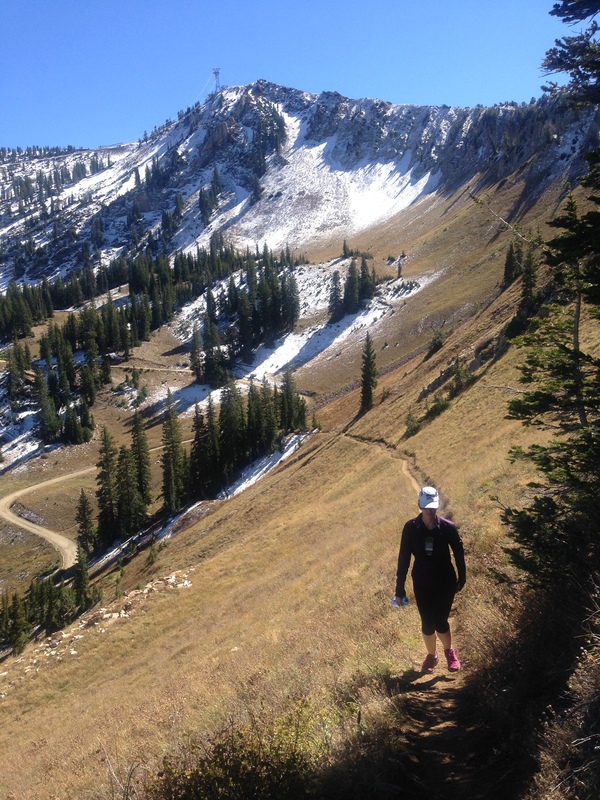 We had an amazing time relaxing, exploring the trails at Snowbird and during Park City’s North Face Endurance Challenge half marathon, and tasting the local (low alcohol) beers. After flying in late Friday night, we opted to relax after checking out the purported best Mexican restaurant in Salt Lake City, the Red Iguana. The place did not disappoint (the food was delicious), and the outing started a pattern we noticed throughout our stay: people in Utah are SO nice. After a quick breakfast on Saturday morning, Jesse and I headed to packet pickup at the race expo for our Sunday half marathon. 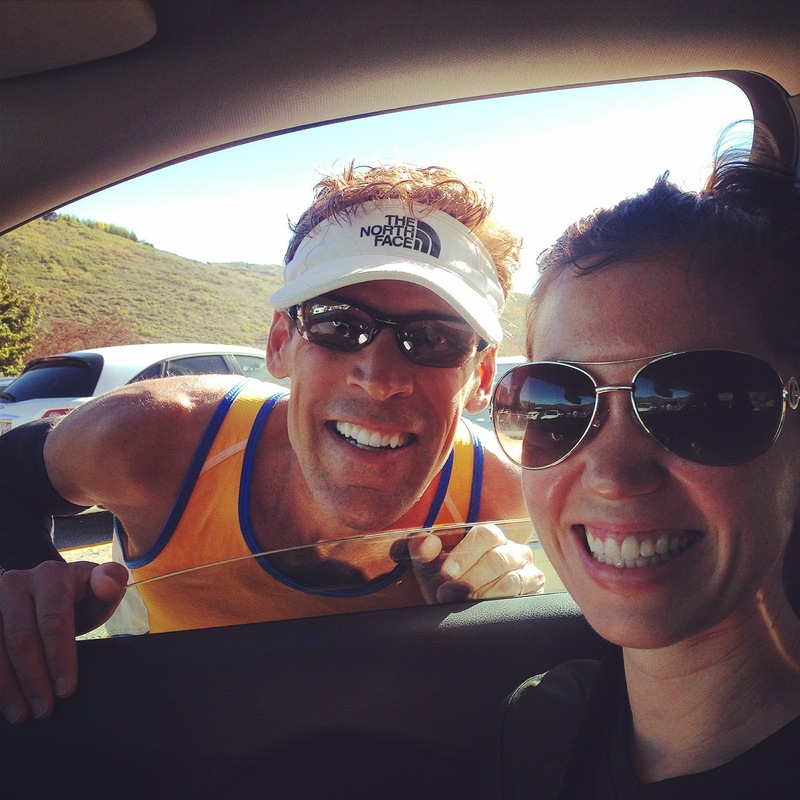 As we pulled into the parking lot, Jesse spotted a familiar figure running through the lot: the ultramarathon man himself, Dean Karnazes. We’ve met Dean before several times at North Face events and running events in San Francisco. Dean was very gracious and chatted with us briefly about his recent Spartathlon race. 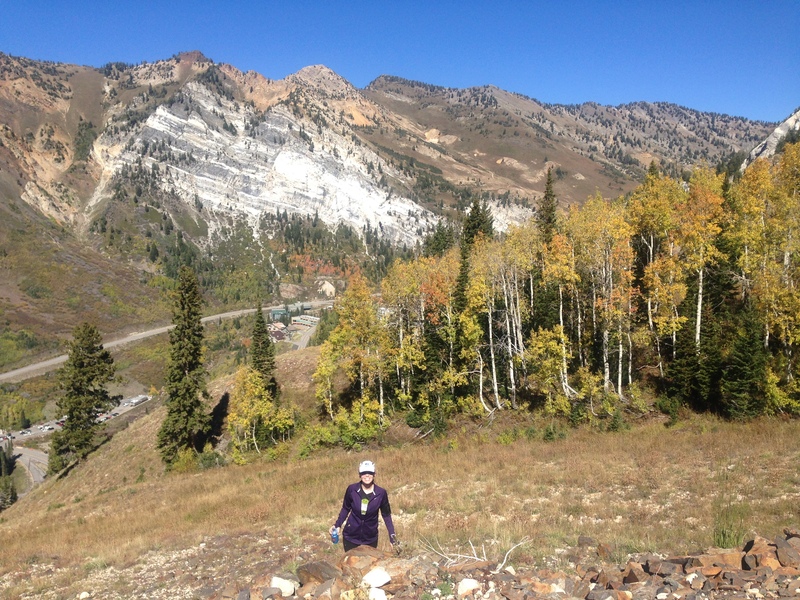 After picking up our packets, Jesse and I headed to Snowbird to hike the trails Jesse always skis. We were in for a challenge: our three-mile hike to the top of 11,000-foot Hidden Peak gained nearly 3,000 feet of elevation! The trek felt more like a mountaineering expedition than a hike. I still have a lingering cough from my cold a couple of weeks ago (which I’m going to get checked out at the doctor’s tomorrow), which made the excursion extra difficult, but the views were absolutely incredible. 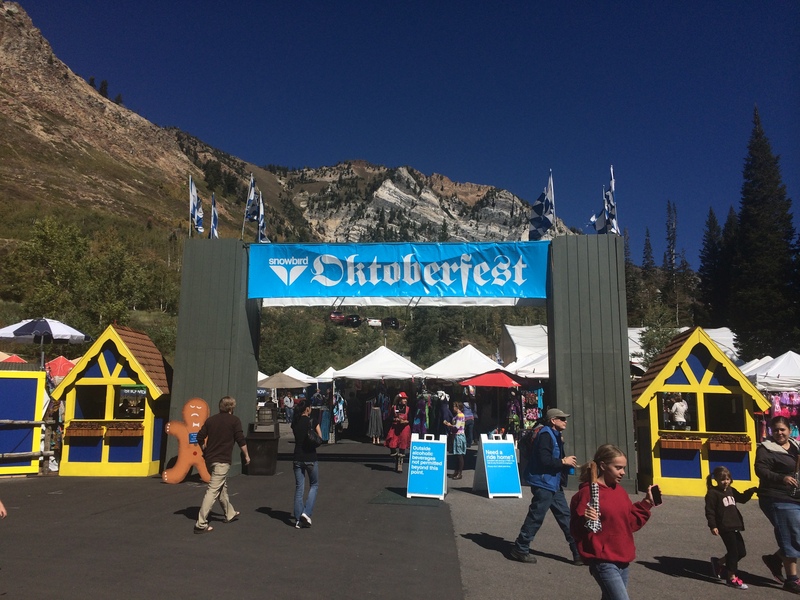 Post-hike, we checked out a happy coincidence: Snowbird was hosting an Oktoberfest! 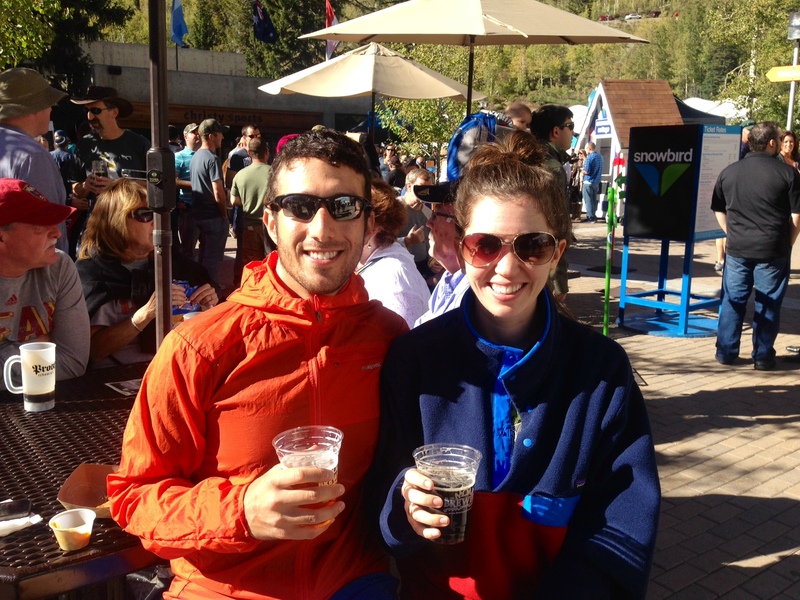 Our Moab Brewery beers were the perfect treat after our excursion up the mountain. We returned to Park City and feasted on some hot pot as a carb up for the North Face Endurance Challenge half marathon the next morning. We woke up on Sunday bright and early for our 8am race start. The temperature was a crisp 40 degrees, but we knew from Saturday that the day would heat up and the sun would be very warm. Upon starting the trail run, I knew the race would be difficult for me. I was coughing and hacking up a storm, and I told Jesse to leave me and run his pace about a mile into the race. Instead of beating myself up, I tried to put things and perspective and realize that I was racing at elevation and still fighting off a cold (or whatever I have). The course was challenging, with 3,429 feet of elevation gain; I felt like I was running uphill for almost the entire duration of the whole race. I walked up more hills than usual and tried to enjoy the race and the scenery rather than get caught up competing with myself. 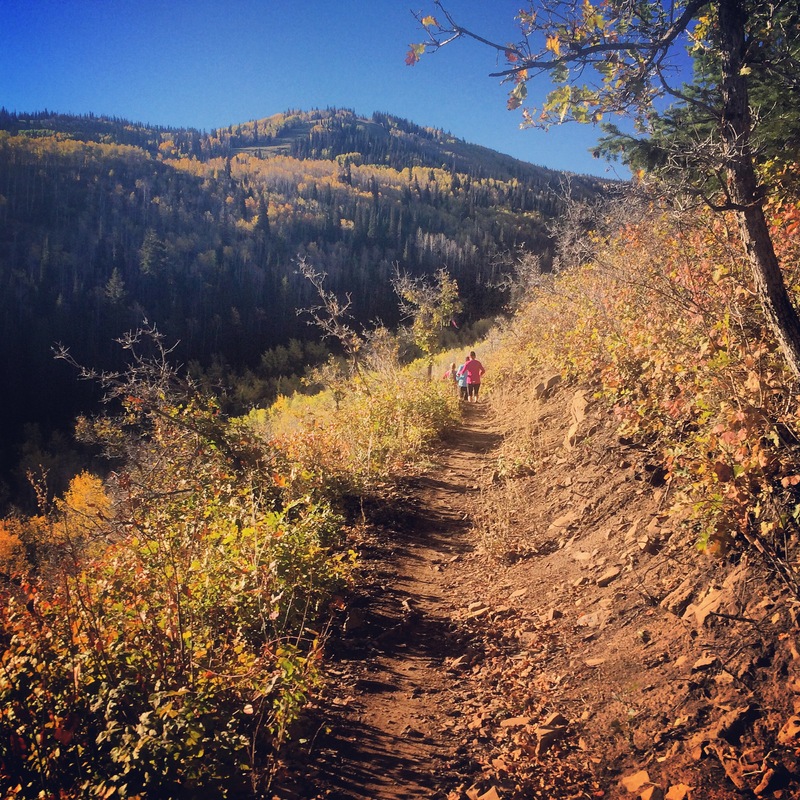 The Wasatch Back trail network offered beautiful vantage points of downtown Park City and the surrounding countryside. I crossed the finish line in a very slow 2:56, easily my slowest trail half marathon time. Jesse finished more than half an hour before me and was waiting for me at the finish line. One delayed flight and a few Wasatch Brewery beer samplers later, we landed in SFO around 1am Monday morning. Yesterday was a bit rough (hence the lack of a post), but today is back to normal. We had an amazing time in Park City, and we’ll definitely be back! Congrats you two! What a beautiful course! Thank you! And yes, highly recommend this course. So gorgeous. awesome trail pics. and you got a great pic with DEAN! sweet. good work! Thank you!!! He is a super nice guy. omg how cool that Dean is poking his head into your car! Aggghhh! Cool! Haha, thank you! It was an unexpected encounter. Looks like an amazing weekend trip! Thank you! It was a great getaway. You guys always see such amazing landscapes! Not sure why my WordPress decided to stop following your blog, but phew I’m back. Way to go guys!! Y’all make a fabulous team!! Always doing lots of awesome races!! Seriously, way to gooo!! XOXO!! You guys are so awesome. 🙂 Congrats on your races and it sounds like an amazing trip! I’ve only been to Utah once and loved it. It’s so beautiful there! Thanks! 🙂 It was so beautiful; I’d highly recommend it! That looks like a gorgeous place for a race! 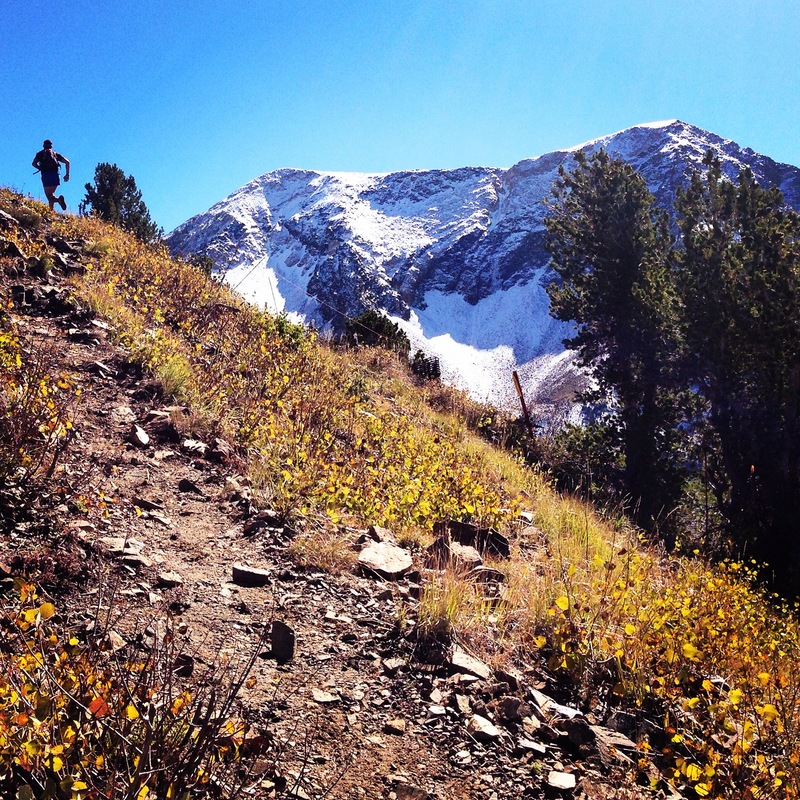 Your finish time sounds great to me – that’s a crazy amount of climbing…especially when fighting off a cold. Thank you, Sandy! It was a very hilly course…the views made up for my struggle! 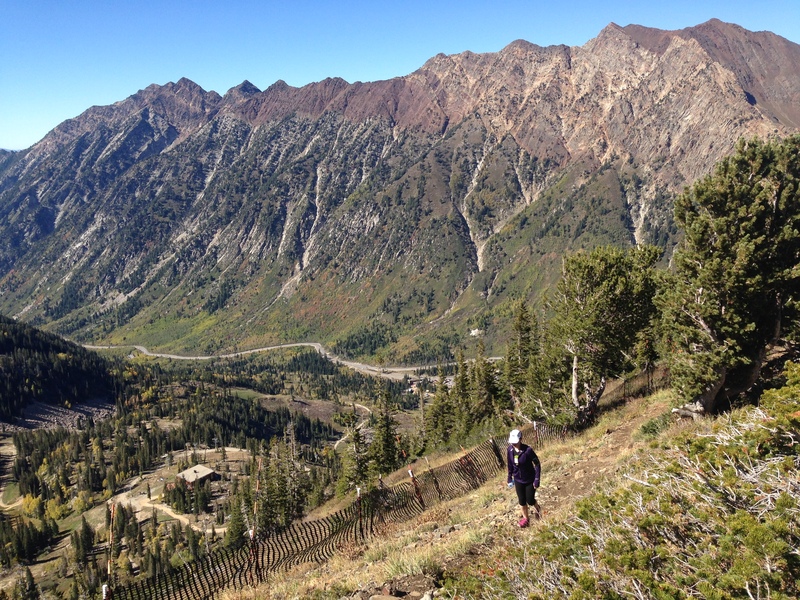 That looks like an epic course, both in views and elevation, congrats on running it! And so cool that you ran into Dean! It was so epic! Thank you! 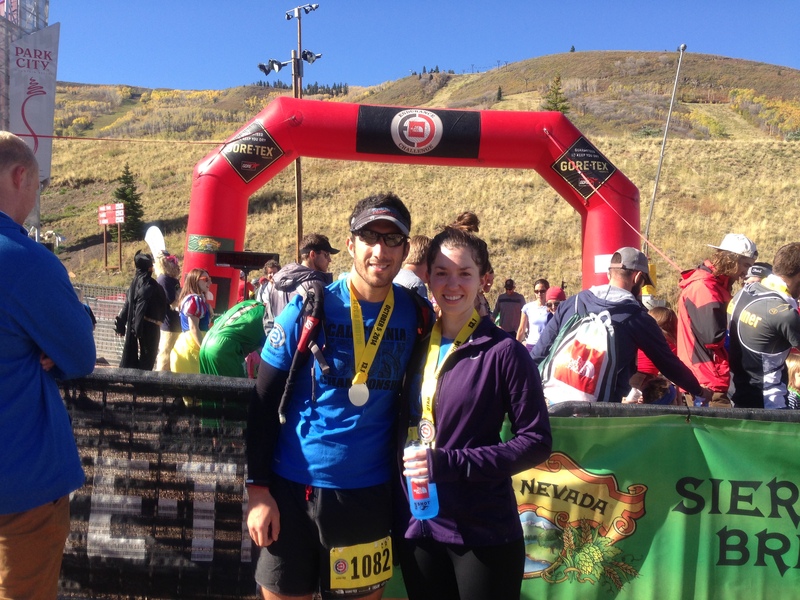 Congrats on finishing that challenging trail race! I visited Park City last year. Beautiful! Thanks, Tina! It was so challenging and beautiful. What a cool course. Congrats. Hard race! Good for you for finishing!! Utah is gorgeous! I was there a bunch of years ago and it does not disappoint! Great pic with Dean too!